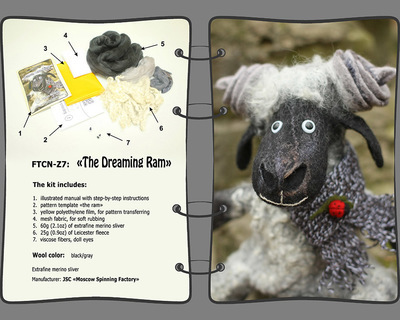 With these particular kits, you will not only be able to make your own fairytale character and invent a story to tell your child, but also to improve your wet felting skills by practicing with a small three dimensional resist. These kits contains everything needed to help you make your puppet, except some little things: a water scoop, a towel and soap. We've gathered all the materials: an extra fine Australian merino sliver, fibers and other accessories (doll eyes and noses). Good luck with your creativity!